Taiwan is a small island, roughly the size of Connecticut. Yet in 2008, this tiny country was America’s 13th largest trading partner and a top producer of many electronic products sold in the U.S. Add a long and oppressive history of governance—when Taiwan was ceded to Japan in 1895, and then transferred to the Chinese Nationalist Party (Kuomingtang) after World War II, which tried to rid the country of the Japanese colonial legacy—and Taiwan offers rich academic content for scholarly work in many different topics. For these reasons, Taiwan Studies has become a growing area of interest at the University of California, San Diego. Today, the campus announced the establishment of the Chuan Lyu Endowed Chair in Taiwan Studies under the department of literature in the Division of Arts and Humanities. The endowed chair was established through a $500,000 gift from Hwalin Lee, Ph.D., and his Chuan Lyu Foundation, whose mission is to educate, preserve and foster Taiwanese culture worldwide. Taiwan culture expert and UC San Diego alumnus Ping-hui Liao, Ph.D.’87, has been appointed inaugural holder of the endowed faculty chair. The Taiwan Studies program at UC San Diego was initiated by Ming T. Tsuang, M.D., Ph.D., director of the Center for Behavioral Genomics of the department of psychiatry, and Charles W. Tu, Ph.D., associate dean of the Jacobs School of Engineering. Their efforts led to the establishment of an endowed Taiwan Studies Lecture Series in 2006 which has been funded by generous donations from the Taiwanese American Foundation of San Diego and UC San Diego alumnus Chiu Shan Chen, Ph.D. ’69, as well as other donors. The new endowed chair, and chair holder Liao, will help build the Taiwan Studies program further. 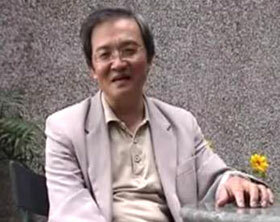 Liao, a distinguished professor who works primarily in the fields of comparative literature, post-colonial theory and cultural studies, plans to further Taiwan Studies at UCSD by drawing on the strengths of the university’s interdisciplinary and trans-cultural approaches both in research and teaching. He also hopes to establish a comprehensive digital archive of books and documents related to Taiwan. “It is certainly a pleasure and honor to be back at UC San Diego, especially as the Chuan Lyu Endowed Chair professor in Taiwan Studies,” Liao noted. “I find the literature department to be even more vigorous and congenial than I remembered—I feel this is perhaps the best time to be at UCSD. “I hope to build a Taiwan Studies Program to fulfill the mission of sharing Taiwan’s dynamic and innovative energies, as revealed by its literature and film. I think Taiwan Studies will contribute to our student body’s cultural literacy in not just appreciating works by Ang Lee, for example, but comprehending what the future world could be like,” he added. Endowed faculty chairs are vital to UC San Diego, allowing the campus to recruit and retain stellar scholars, and remain competitive with the world’s top universities. The permanent endowed fund created by philanthropic gifts provides perpetual annual income in support of the teaching and research activities of the person holding the chair. The Chuan Lyu Foundation is a private philanthropic organization founded by Hwalin Lee in 1986 and dedicated to preserving the culture and history of the Taiwanese people. The foundation’s goal is to nurture the Taiwanese culture after nearly 100 years of suppression, serving as a catalyst for Taiwanese expression by supporting existing programs and initiating new projects that bring Taiwanese culture to people’s consciousness. The name of the foundation and the recently established UC San Diego endowed chair was chosen to honor Lee’s grandfather and father. For more information about supporting UC San Diego’s Taiwan Studies Program and the Division of Arts and Humanities, please contact Director of Development Matt Henry at 858-534-9043 or email mfhenry@ucsd.edu.